In this special podcast I speak to writer David Renwick about why he is bringing Creek back. 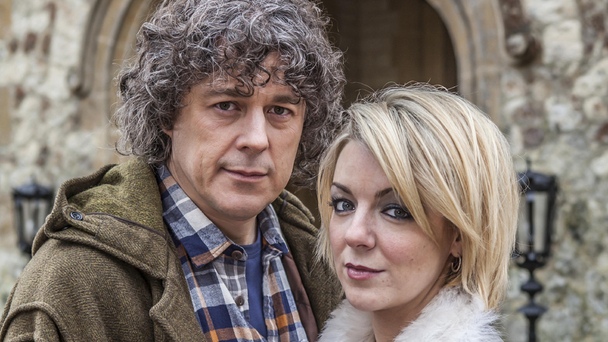 Alan reveals why it took me so long to read the script and Sheridan Smith worries about giving away too much. Alan also told me that QI is next for him and that the BBC have commissioned two brand new series of the popular quiz show. He's also doing stand-up gigs at festivals over the summer and that his recent stand-up show will be available on DVD at Christmas. His recent stand-up comedy tour has proved a huge success and when asked why he went back out on tour he said, "I fancied it again. I kept getting these knock backs from TV. Whites being axed was a real kick in the teeth. I had my own script that I thought was going to get commissioned and didn't. The thing with stand-up is no one can cancel you after one series and there's such an audience for live comedy now. It was great!"